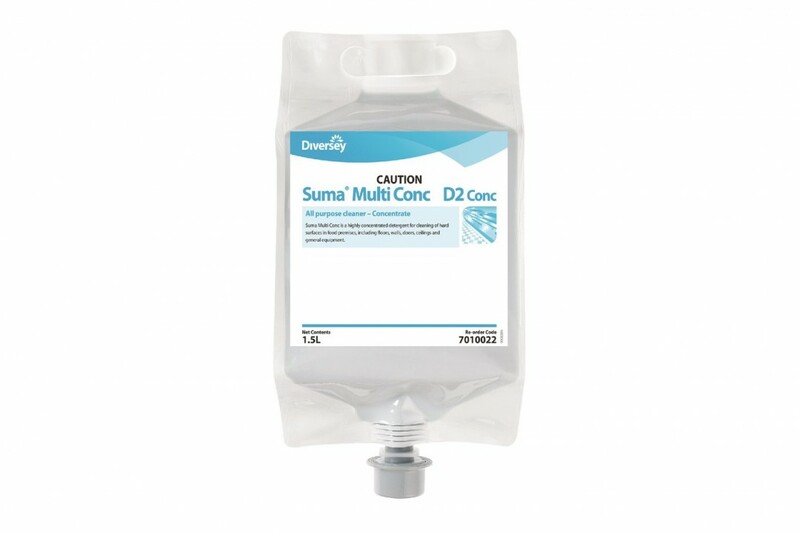 Suma Multi conc D2 conc is a ultra concentrated detergent for cleaning of hard surfaces in food premises, including floors, walls, doors, ceilings and general equipment. 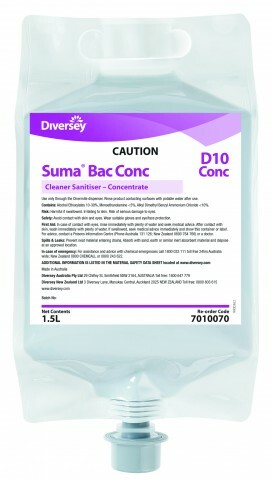 Key properties: Suma Multi conc D2 conc is a highly concentrated all purpose detergent suitable for manual cleaning of all surfaces in the kitchen. 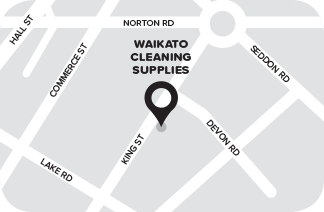 It is an optimal blend of anionic, nonionic surfactants and alkali, which makes it effective for removal of grease and dried-on food. The sequestrant in the formulation makes it suitable for all water conditions and while improving the cleaning performance.